Pylon Network: Memoirs from the wonderland of Californian electricity market. 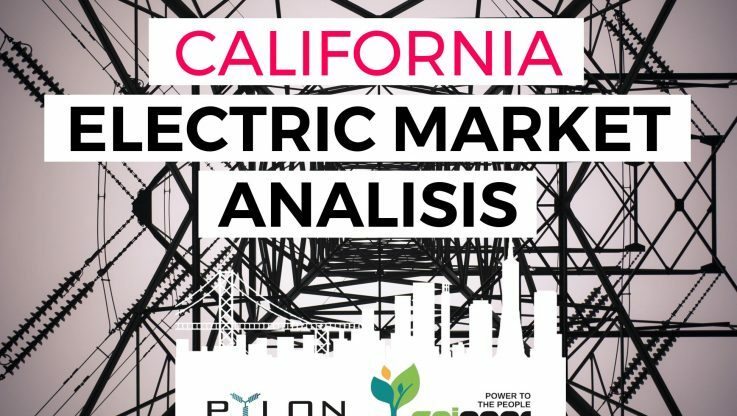 Last November, Pylon Network team spent two weeks in San Francisco and California, where we had the chance the meet various players of the energy market, understand how it operates and get a concise perspective of the possible market positions for Pylon Network. You can read the summaries of these two weeks, on our blog posts: Week 1 & Week 2. These two weeks in California have taught us a lot regarding the operation of the market. We have brought home in our luggage some very interesting lessons regarding the pulse (gut feeling) of the electrical market in a state, which represents the 6th largest economy world-wide. So have a read below, if you are interested in learning more about the outcomes from Pylon Network’s Cali-experience! One of the first things that surprised us was the absence of electricity brokers, as an energy market actor. In the Californian market we have identifies different actors, among which the CCAs (Community Choice Aggregation), which stand out for its novelty. The birth of the CCAs was possible thanks to the “community election aggregation” law, which passed in 2002 and allows local governments (counties) to group the electricity demand for consumers within their jurisdictions. Their role is hence to only to buy and sell renewable energy within their jurisdiction, while maintaining the existing provider for the transmission and distribution services (TSO and DSO). We paid a visit to the first CCA that was established in California in 2008 and began operating in 2010, in Marina County, CA (Marine Clean Energy. https://www.mcecleanenergy.org/) followed by a second CCA in Sonoma County (Sonoma Clean Power. https://sonomacleanpower.org/ ). – They normally offer three rates: normal energy, 50% renewable energy and 100% renewable energy. – They are not the ones that bill the final customer – as in the European market. Instead, the billing goes through the distributors, who directly bill consumers connected to the grid. The distributors are the ones who assume the role of the retailer in the market. – Its governance model consists of a board of directors where all the communities integrated in the CCA, are represented. – The profits/benefits return to the community as they are non-profit entities that promote the local economy and the creation of employment in their communities. In that sense they have a lot of similarity with the local cooperatives. – There is no similar figure in the Spanish market. It would be a public retailer who only buys energy and sells it to the final consumer, but without invoicing him/her directly. We also identified a second category of interesting actors of the Californian market, the so-called POU (Publicly Owned Utilities). Its equivalent in Spain (and most European markets) would be the small municipal distributors with retailers. They are public entities that historically own and manage their own generation and / or distribution. POUs can directly bill their customers and when they are public, all their profits are re-invested back to the same community. We could also say that they share the values ​​of local coops: there are some historical cooperatives in Spain that would be their equivalents. During our trip, we visited several POUs of the San Francisco/Bay area, among which we would highlight those of Alameda (http://www.alamedamp.com), Palo Alto (http://www.cityofpaloalto.org/gov/depts/utl/default.asp) and Santa Clara (http://www.siliconvalleypower.com). On our cold-visit, we were warmly introduced by one of the funding members, with whom we had a pleasant talk regarding the history, the current stage and the future challenges for the energy market of California. During our talk, we were once again surprised to see that the symptoms caused by the oligopoly in the energy market of Spain are also observed in California. In fact, California coop, along with other entities, was one of the main promoters of the law that created the legal framework for CCAs that have allowed to recover part of the control to the citizenship. New CCAs are being created and expect that by 2020 about 85% of the consumers of California will be under a CCA. And last but not least, we have to talk about the bad guy in the movie, in this case three “bad guys”, which consist the oligopolistic players in Californian energy market: Pacific Gas & Electricity, Southern California Edison and San Diego Gas & Electric. All are large private investment-utilities/companies that have historically maintained almost total control of the energy market. In all the meetings we had with the CCAs, the POUs and the coop, the figure of PG & E has always emerged with the same role as the oligopoly figures in Spain. Since the appearance of the CCAs they have exerted strong lobbying forces on the government and especially on the market/grid regulator to try not to prosper using all the legal and communication means at their disposal. Fortunately, the CCAs have managed to overcome the first obstacles and are having a prominent role in recovering part of the citizen’s control over a commodity as basic as energy. All the entities we have been with have shown interest in the Pylon Network project, mainly due to their contribution to the transparency of the market, all transactions are registered and are public, and their independence for third organizations, since the blockchain itself it is who guarantees the integrity of the records and their immunity to manipulation. We are building amongst these lessons and planning our next steps by finding the best business development path for reaching international markets and meeting their needs. We received very encouraging feedback and created relationships which we are sure will prove to benefit the project in the short- to mid-term horizon. For now, we turn our focus on the demonstration stage in collaboration with GoiEner. You can learn more about it (among our other milestones for the new year), in our previous blog post, here. PYLON NETWORK releases Pylon Coin open-source blockchain code!